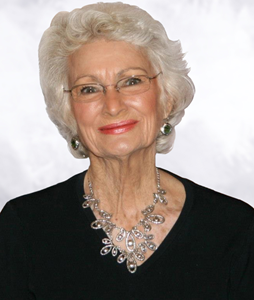 Newcomer Family Obituaries - Margaret Ann Bollinger 1936 - 2019 - Newcomer Cremations, Funerals & Receptions. Bollinger, Margaret Ann age 82, of Cincinnati, Ohio passed away on Saturday, February 2, 2019. She was born in Mississippi on March 26, 1936 to the late Julian and Virginia Carson (nee Brim). She was preceded in death by her husband, Roger Bollinger and son, Jim Bollinger. Margaret is survived by her beloved son, Gary (Kelly) Bollinger; daughter-in-law, Cindy Bollinger; grandchildren, Tyler, Hailey, Grace, and Claire; and along with a host of other family members and friends. In loving memory of Margaret, contributions may be made to charity of your choice. Celebration of Life will be 10:00 am Saturday, February 9, 2019 with a visitation from 9:00 am - 10:00 am at Newcomer Cremations, Funerals & Receptions - West Side Chapel, 3300 Parkcrest Lane, Cincinnati, Ohio 45211. To share a memory of Margaret or leave a special message for her family, please click the Share Memories button above. Add your memories to the guest book of Margaret Bollinger. What an honor to have known and loved this gentle, yet spunky, lady. She brightened any room she entered with her brilliant smile, and had the tenderest of hearts. Thank you for sharing your precious mom with us. Blessings to you all, and may the joy of her memory bring you comfort.